SDCIA and The Home Depot = Savings! SDCIA members have been able to take advantage of incredible savings achieved through rebates and huge discounts on paint and appliances from Home Depot’s ProExtra program thanks to their partnership with National REIA. Whether it’s paint, appliances or drywall for that house-flip or new flooring, SDCIA members continue to save thousands of dollars on their investment projects. You can receive a semi-annual rebate of 2% of your net sales for your purchases at The Home Depot and Home Depot Tool Rental. This is a fantastic program that will introduce you to a new way of doing business with The Home Depot that will help you save time and money. 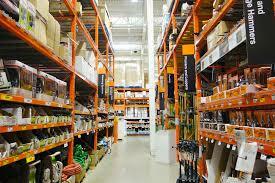 Please contact Home Depot for the most up to date information on purchase minimums and restrictions 866-333-3551. 3) Email HomeDepot@nationalreia.org to make sure your account is set up properly and that you are escalated to Gold Status for your 20% Paint Discount. Home Depot offers members a savings of 20% off interior and exterior paints and primers at their convenient one-stop shop for paint, coating products & much more. Members can also take advantage of the Home Depot Appliance program that allows appliances to be easily ordered from an exclusive catalog especially designed for members. SDCIA members can save 10% on in-store purchases of exclusive Hampton Bay cabinets (excluding Designer Series). The saving is off the current price including sale pricing. This is a deal that you won’t want to miss. www.SDCIA.com (San Diego Creative Investors Association) does not give legal, tax, economic, or investment advice. SDCIA disclaims all liability for the action or inaction taken or not taken as a result of communications from or to its members, officers, directors, employees and contractors. Each person should consult their own counsel, accountant and other advisors as to legal, tax, economic, investment, and related matters concerning Real Estate and other investments. Copyright 2019 © San Diego Creative Investors Association All rights reserved.